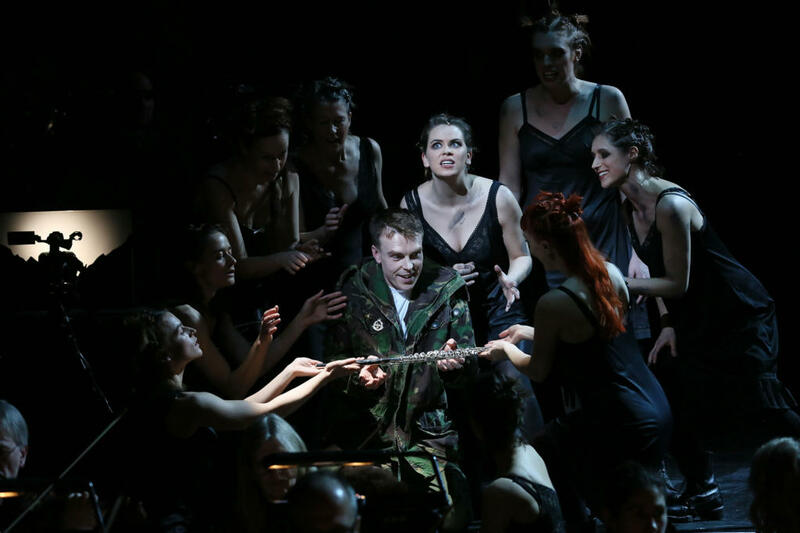 Sometimes an opera production just needs to grow on you. 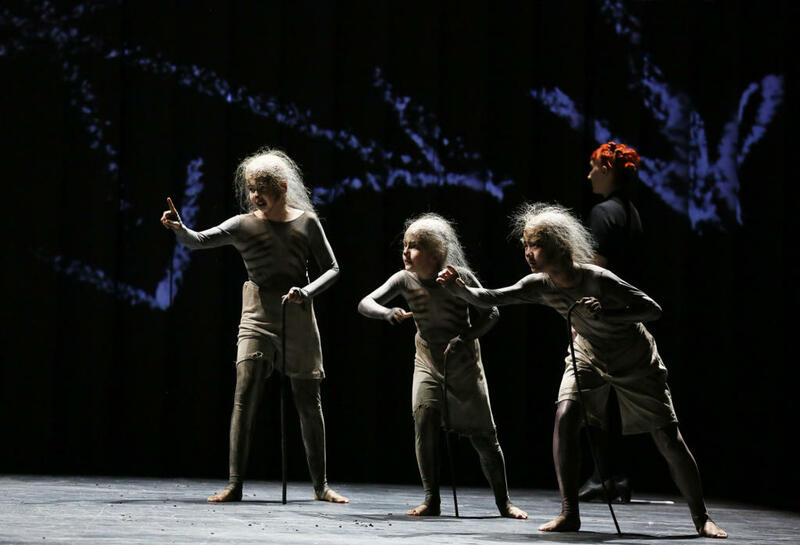 This is the case for the most recent ENO production of Magic Flute, directed by Simon McBurney, which has returned for its third run since opening in 2013. 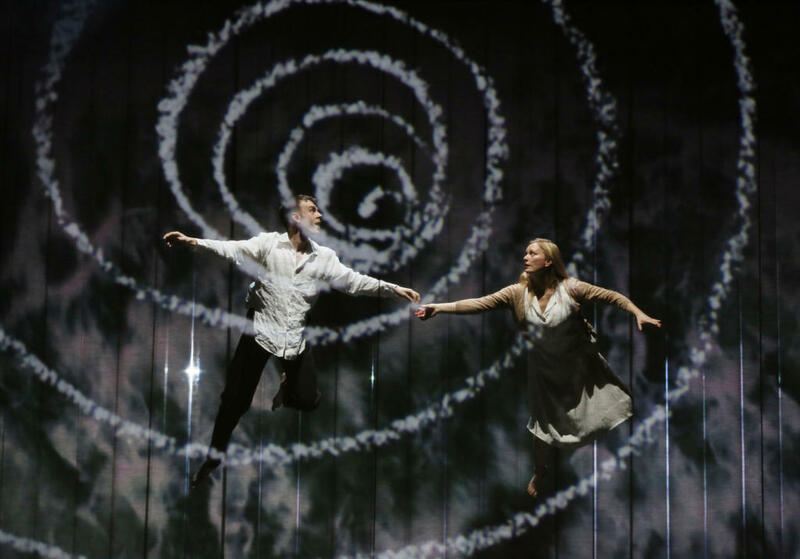 Is was then the first new ENO production of The Magic Flute for around 25 years, and replaced Nicholas Hytner’s much-loved if rather traditional take. 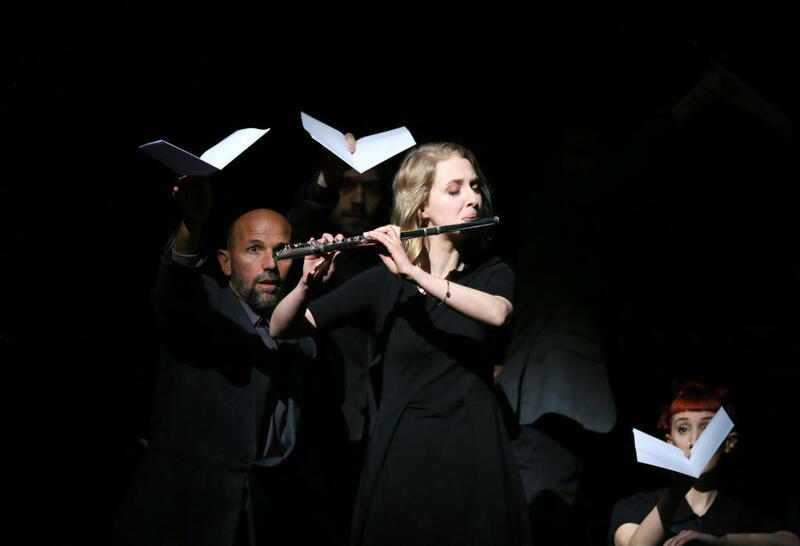 My review of the opening of McBurney’s version commented that: “In contrast to the previous production, this Magic Flute is dark, mysterious and more than a little weird. A flood of ideas drenched the stage, aided by a commentator sitting in a box in the corner, chalking up comments onto a large video screen. But there seems, at least to me, on first sight, little coherence to link it all together. Masonic references are played down, but the element of a cult is still stressed through colour-coded camps in conflict . . . It may well be that, in 25 years time, I will miss this production. But, in the meantime, it will certainly take me some time to get used to it”. For the 2016 revival, I commented that: “I am happy to admit that I was bowled over by it. A radical take on the well-known, if little-understood plot, the stark staging and dramatic lighting are aided by some very clever technical and production devices, making for a production that I predict will last for another 25 years in the ENO’s repertoire … For some reason, it all made far more sense than when I first saw it in 2013“. My feelings now, after this third revival remain generally positive, although I would have liked a more radical rethink from revival director, Josie Daxter, the assistant director for the two earlier productions., and movement director of Complicite, McBurney’s theatre company who collaborated in the original production. The staging centres on a huge suspended platform that rises and tilts to create a sequence of spaces and effects, leading to the need for some non-slip shoes for the singers. Members of Complicite form an integral part of the staging, not least for their rather silly waving of A4 sheets of paper to imitate birds. This has overstayed its welcome, and I suggest they wave more appropriate imitations in any future runs. The device of a live video drawing artist and very visible foley artists on either side of the stage did occasionally cause more distraction that it needed to, although it was certainly an interesting idea. What impressed me most with this production, as it had with the 2016 one, was the standard of singing from the very strong cast. Unlike their near competitors (see my Berenice review) ENO have really grasped that early music needs singers used to the stylistic performance practices of the time. This means clarity of tone and voice, minimal vibrato, articulation of phrasing and avoidance of over-forcing the voice. As with the 2016 vocal cast (some of whom remain), this was achieved almost without exception. 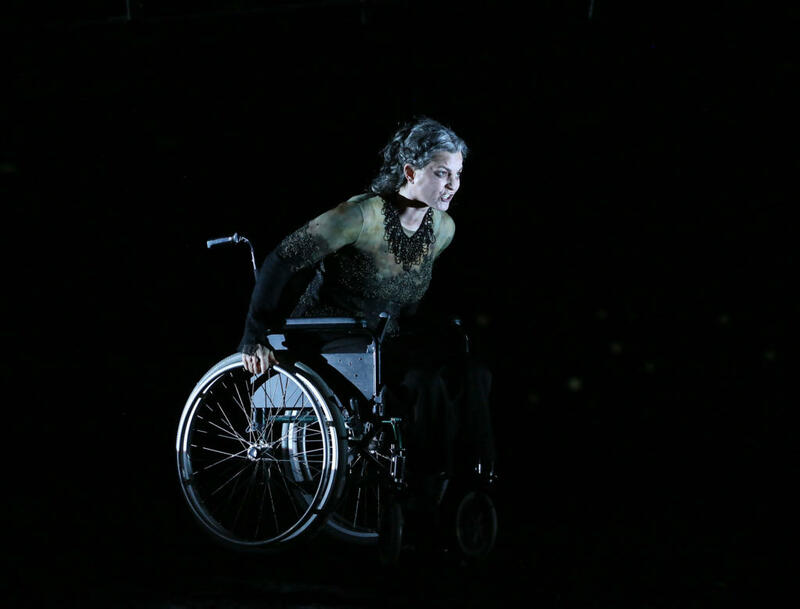 Lucy Crowe returned as an outstanding Pamina, with Rupert Charlesworth making an impressive ENO debut as Tamino (pictured, during the Water trial). 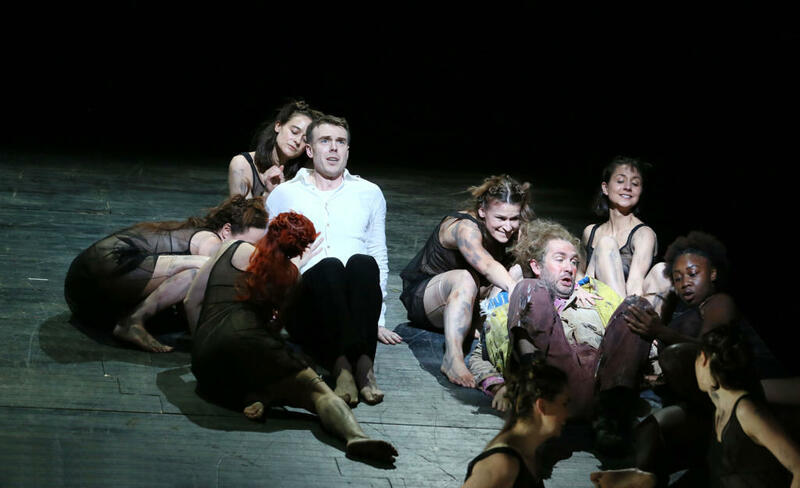 Thomas Oliemans is the go-to Papageno, joined on this evening by another ENO debut from the Papagena cover, Zoe Drummond standing in for the indisposed Rowan Pierce. No information was provided in the programme or inserts about Zoe’s background, hence the singular web-link. Julia Bauer also made an impressive ENO debut as “Queen of Night” with the omission of the definite article unexplained). Brindley Sherratt’s appearances as Sarastro date back to 2007 and an earlier incarnation of the opera. The Three Ladies were Susanna Hurrell, Samantha Price, Katie Stevenson, and the Three Spirits Guillermo Fernandez-Aguaya Martin, Richard Wolfson, Nao Fukui – all impressive. I was also impressed with the playing of the ENO house band, who have also learnt a lot about period performance style from earlier specialist directors. Flautist Claire Wickes deserves special mention for her on-stage appearances with her magic flute. The conductor for this revival was Ben Gernon, another ENO debut demonstrating why he was one of the youngest ever conductors to hold a Principal Conductor post with a BBC orchestra (the BBC Philharmonic). His measured opening to the overture was very effective, although I’m glad the pace picked up from then on. With the orchestra lifted to just below stage level, it was good to be able to actually see the conductor and players.